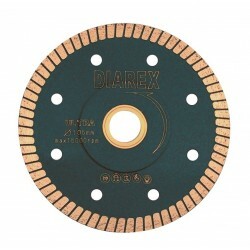 High quality blade for straight dry cutting with an angle grinder on Ceramic, Porcelain and Natural Stone. 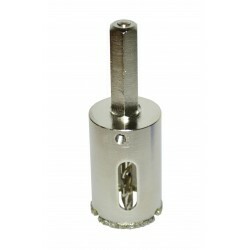 New generation 1.2mm segment allows for longer life while ensuring segment strength. 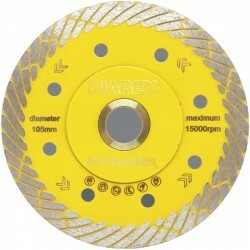 High quality blade for straight dry cutting with an angle grinder on Ceramic, Porcelain and Natural Stone. New generation 1.2mm segment allows for longer life while ensuring segment strength. Angled cooling slots for maximum performance. New body design produces greater rigidity and tolerance.